The recent appointment of firebrand war veteran and Gokwe Central legislator Cde Victor Matemadanda as Deputy Minister of Defence and War Veterans by President Mnangagwa has been well received. Cde Matemadanda’s campaign manager and strategist, businessman Cde Tinashe Mutarisi, hailed the appointment as a befitting honour to a luminary and loyal cadre of the party. “Cde Matemadanda belongs to a rare class of luminaries and unwavering politicians who always exude positive energy and we thank the President for bestowing him with such respect,” he said. Cde Matemadanda, who was forced out of the party after speaking out against former First Lady Grace Mugabe and the G40 cabal, has remained vocal on issues that go against the dictates of the party. Even after being kicked out of the party, Cde Matemadanda continued to speak against corrupt tendencies in the echelons of power and his combatant approach rallied many Zimbabweans towards a successful Operation Restore Legacy. His appointment to the crucial ministry where he deputises Cde Oppah Muchinguri-Kashiri has been welcomed as Zimbabwe seeks to defend the gains of the liberation struggle and chart a path towards economic revival and sustainable development. Cde Matemadanda’s unifying role through his effective account of the liberation struggle helped bring sanity amongst war veterans, war collaborators and ex-detainees as the G40 cabal had caused several divisions amongst this important arm of the party. 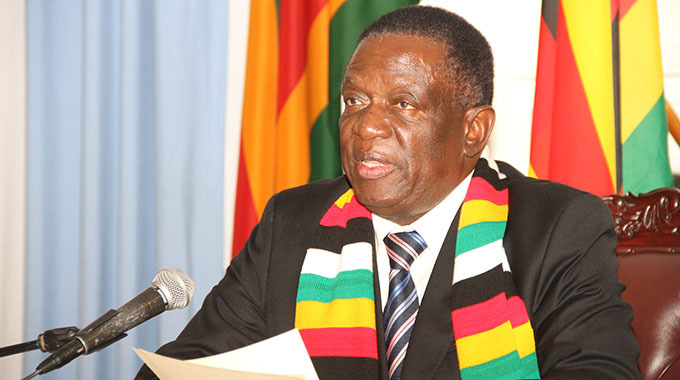 President Mnangagwa has fostered a return to the guiding principles of the party through fusing veterans of the liberation struggle with technocrats and young leaders. War veterans leader and Zanu-PF Politburo member Cde Douglas Mahiya said President Mnangagwa has restored the confidence of the war veterans by appointing Cde Matemadanda. “War veterans were tired of being fooled by the former president Mugabe,” he said. “Some of them wanted to vote for the opposition, but Cde Matemadanda together with other war veterans worked hard in restoring confidence in the ruling party.